Meet Bill Thies , who’s products have a way of bridging the digital divide in rural areas. 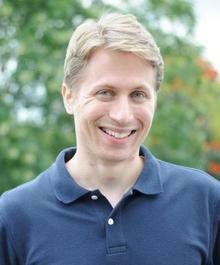 He collected a clutch of degrees from MIT, completed his Ph.D. in Computer Science in 2009, began his career programming languages and compilers for multi-core processors and micro-fluidic chips, and joined Microsoft as a researcher in the Technologies for Emerging Markets Group. Here Bill Thies found his calling. His technology products have a way of leaning towards bridging the digital divide in rural areas, bringing life-needs like education and healthcare within the reach of people deprived of it, helping the less empowered face life with confidence, using only the cell phone as a weapon. He describes his work as “building Information and Communications Technologies (ICTs) that contribute to the socio-economic development of low-income communities — Information and Communication Technologies for Development (ICT4D).” Not surprisingly, his neatly-organised one-page digital mantelpiece is crammed with awards and citations. A short-list of his — and his team’s — work: Interactive voice response (IVR) Junction that enables anyone with a basic mobile phone to participate in social media like Facebook, YouTube and the like. CGNet Swara, a voice portal for citizen journalism in rural India. A low-cost system for audience polling that uses computer vision and printed cards instead of electronic “clickers”. A project with Operation ASHA and Innovators in Health, on using biometrics to improve adherence to tuberculosis medications. Studies on how people respond to human-computer interaction and mobile crowdsourcing. Co-organising DataDev 2012 — the international workshop on mobile data collection in the developing realm. Teaching a course on building mobile services for emerging markets. Among projects in the pipeline is VidWiki, a system that makes it easy to translate videos into local languages (say, for online education) into a style called TypeRighting. I ask Bill of his switch from core-tech to developing apps, primarily to help urban and rural disadvantaged groups. “I’ve always wanted to work on projects that could have a large social impact,” he says. Upon graduating, he decided to get closer to low-income communities in the developing countries, “to see if there was a role for technology to contribute to their health, education and well-being.” He had tech skills, he would train them towards projects meant “to address the most pressing problems” of the marginalised. He felt India was the place for him to match his skills with his dream. In Bengaluru, the Microsoft office provides him with resources/equipment/personnel; walking outside, he can interact with people with limited literacy, “with people who have never touched a computer before”. Having both realms close-by presents opportunities to develop technology for social benefit quickly. This article first appeared on Nov, 21 on The Hindu. Its was written by Geeta Padmanabhan.